Ownership - Burden to prove ownership over the suit property is on the plaintiff. In the present case, the respondents-­plaintiffs failed to discharge their burden of proof by being unable to furnish necessary documentary and oral evidence to prove their claim. But, the High Court without appreciating the aforesaid evidences and claims made by the appellant (defendant no.4), decreed the suit in favour of the respondents-­plaintiffs by solely relying on the entry made in the book of endowments department stating the boundaries of the temple. The aforesaid judgment of the High Court is untenable in law as it is based on erroneous appreciation of evidence. (N. V. Ramana) and (Mohan M. Shantanagoudar) JJ. 1. The present appeal arises out of the impugned judgment dated 18th November 2006, passed by the High Court of Judicature at Hyderabad in Appeal Suit No. 1964 of 1993 wherein the High Court allowed the appeal preferred by the respondents and set aside the order of the Subordinate Judge in O.S. No.69 of 1987, thereby decreeing the suit in favour of the respondentsplaintiffs. 2. A brief reference to the facts may be necessary for the disposal of the present case. The original plaintiff no.1 (predecessorininterest of respondent nos. 1 to 6 herein) and original plaintiff no.2 (respondent no.7 herein) preferred a suit against the defendants (appellant and respondent no.8,9 and 10 herein) seeking a declaration that they are the owners of the suit schedule ‘A’ house bearing H. No. 5669 (old), 617 (old), reassigned new nos. 6181 and 6181/ 1 situated at Brahminwadi, Jagtial. The original plaintiffs had also prayed for a declaration that the suit schedule ‘B’ properties are not in existence and the said properties do not belong to the temple. Lastly, they also sought a consequential relief of permanent injunction against the defendants from interfering with the peaceful possession and enjoyment of the suit property. 3. The respondentsplaintiffs claimed to be the owners of the suit schedule “A” house and further contended that they have been residing in the suit property since the time of their ancestors. Hence it is recorded in their name and they have been paying taxes to the municipality with respect to the same. A Ram Mandir, situated to the west of the suit property bearing H.Nos.5670 (old) & 618 (old) corresponding to H.No.6182 (new),which is shown as Endowments property by the Endowments department. Plaintiff no.1 has stated that the eastern and southern boundaries of the temple are shown to be the house of the plaintiffs. The plaintiffs also brought to the notice of the court, the permission dated 14.10.1977, granted in their favour by the municipality, for reroofing. The original plaintiff no.1 and plaintiff no.2 effectuated an oral partition of the suit schedule ‘A’ property on 27.6.1983. 4. The cause of action in the present suit arose when respondent no.9 (defendant no.2Deputy Commissioner of Endowments Department) allegedly passed an exparte order on 24.10.1986 declaring the suit schedule ‘A’ house and movable properties shown in schedule ‘B’ and other properties belonged to the Ram Mandir, Jagtial in O.A. No.70 of 1985. 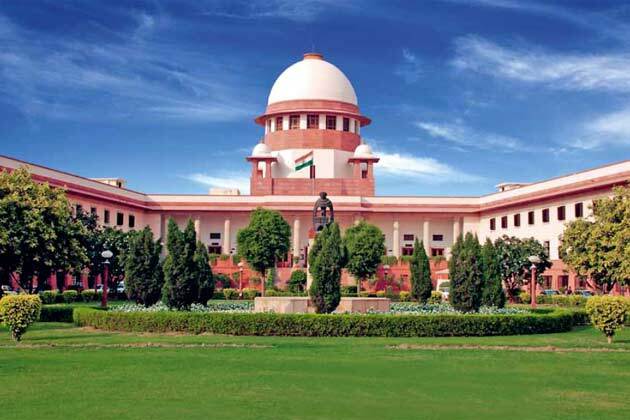 Pursuant to the same, the appellant (defendant no.4Chairman Board of Trustee Sri Ram Mandir) filed a Petition in the court of Judicial Magistrate, under Section 93(2) of A.P. Charitable and Hindu Religious Institutions and Endowments Act 1966 (hereinafter referred to as “the Act”) for the delivery of possession of suit schedule ‘A’ and the suit schedule ‘B’ properties alongside other properties of the Ram Mandir in Cr. M. P No. 173 of 1987. 5. The respondentsplaintiffs, apprehending abrupt interference in possession and enjoyment of the suit property, preferred this suit for declaration of title and perpetual injunction concerning suit schedule ‘A’ and ‘B’ properties in O.S. no.69 of 1987. 6. The appellant (defendant no.4) resisted the suit on multiple grounds. Although the appellant (defendant no.4) admitted that the ancestors of the plaintiffs were performing “Annasatram” at the Ram Mandir, he particularly denied that the ancestors of the plaintiffs had constructed the suit schedule ‘A’ house about 100 years back along with H. No. 6221. The suit schedule ‘A’ house was constructed from the funds donated by the devotees. It was further alleged that the plaintiff no.1 had filed O.A no.2 of 1973 under Section 77 of the Act before the Deputy Commissioner Endowments Department Hyderabad (defendant no.2) for declaration that the Ram Mandir is not an endowment property, but the same was dismissed by the Deputy Commissioner vide order dated 26.12.1976. The Deputy Commissioner held that the temple is a public institution which is registered and entered in the book of endowments. Aggrieved, the plaintiff no.1 had preferred O.S. no.134 of 1977 under Section 78 of the Act, seeking to set aside the earlier order passed by the DeputyCommissioner. This suit was also dismissed on 19.08.1981 and has now attained finality. However, the plaintiffs being the priests got the suit property mutated in their favour during the pendency of the proceeding. 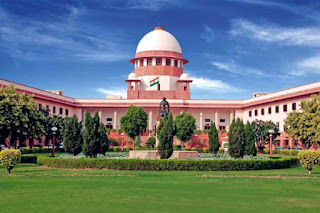 Since, plaintiff no.1 was the pujari and was looking after the affairs of the temple, he misrepresented the matter before the Assistant Commissioner of the Endowments Department (defendant no.3) at the time of preparing the list of properties of the Ram Mandir and got his name illegally recorded. The plaintiff no.1 had also concocted several documents, such as municipal permission for reroofing. Further, all the mutations and entries made or done in the municipality are in his capacity of being a Pujari and custodian of the temple, and not as the owner of the property. The appellant further submitted that the Schedule B properties are in existence and are in the custody of the plaintiff no.1 itself, who supressed this fact. Lastly, the appellant, submitted that the plaintiffs have exhausted all remedies and have filed the suit to prolong the litigation and hence is liable to be dismissed. i. Whether the plaintiffs are entitled for the declaration that the suit property are belonging to them and the schedule “B” properties are not in existence and whether they are not the properties of the Ram Mandir? ii. Whether the plaintiffs are entitled for the permanent injunction? iii. Whether the suit is barred by the res judicata? iv. Whether the court fee paid is not correct? 8. The trial court, after perusing both oral and documentary evidence on record, dismissed the suit preferred by the respondentsplaintiffs. The trial court held that the instant suit is not barred under the principle of resjudicata, as the earlier suit in O.S. No. 134 of 1977 was dismissed only for the default of the plaintiff no.1. However, as the respondentsplaintiffs failed to prove the source of their title they will not be entitled to claim the relief of permanent injunction. 9. Aggrieved by the aforesaid dismissal of the suit, the respondentsplaintiffs preferred an appeal before the High Court in Appeal Suit no. 1964 of 1993. The High Court set aside the order of the trial court stating that the same was passed without considering the facts and law in the correct perspective. Thereby, the High Court vide order dated 18.11.2006 allowed the appeal preferred by the respondentsplaintiffs and decreed the suit in their favour by placing reliance on the documentary and oral evidence placedon record. The High Court observed that, the alleged suit property was not included in the book of endowments, moreover, the plaintiffs have been paying taxes in regard to the suit property in their name. Therefore, the defendants in the guise of a certificate cannot claim the suit premises. Aggrieved, by the aforesaid order of the High Court decreeing the suit in favour of the respondentsplaintiffs, the appellant (defendant no.4) has preferred the present appeal. 10. Heard the learned counsels for both the parties. 11. The counsel on behalf of the appellant (defendant no.4) submitted that the High Court gravely erred in decreeing the suit in favour of the respondentsplaintiffs by merely relying on the entry in the book of endowments as to the boundaries. Further, the counsel averred that, the plaintiff no.1 manipulated the record showing himself to be the owner of the suit property, whereas he was a pujari acting as a custodian of the temple. Lastly, the counsel rested his argument by stating that since the certificate issued by the Deputy Commissioner in O.A. No. 70 of 1985 is still valid, the plaintiffs are not entitled to a decree restraining the defendants from dispossessing them from Schedule ‘A’ property and recovering Schedule ‘B’ property. 12. On the contrary the counsel on behalf of the respondentsplaintiffs submitted that, the suit property was never recorded as an endowment. On the contrary, the suit property was earlier recorded in the name of the ancestors of the plaintiffs and now it devolves in the name of plaintiffs. The permission granted by the municipality on 14.10.1977, to construct the reroofing strengthens the presumption in their favour. Therefore, the High Court was correct to decree the suit in their favour by relying on the documentary and oral evidence placed on record. 13. At the outset it is pertinent to peruse few significant evidences adduced by both the parties. 14. The plaintiffs had examined P.W.3 (Purohith) to prove that the suit property was partitioned in the year 1914 vide Arbitration Award dated 21.12.1914. But this document was never placed on record in the earlier rounds of litigation. On the contrary, plaintiff no.1 in the earlier litigation in O.A. No. 2 of 1973 had stated that, the suit property was not a Mandir but a house which was built by his father after obtaining due permission from the local tehsil in 1927. The aforesaid contradiction draws suspicion as to the credibility of the witness, as regards to the building of the suithouse and temple in 1927 and fact of partition pursuant to the arbitration agreement in 1914, which are inconsistent. 15. D.W.2, who was once acting as the fit person on behalf of the trust of Ram Mandir stated that, even the suit schedule ‘A’ property was a part of the endowment property. 16. D.W.3, further clarified the status of the suit schedule ‘A’ property by stating that it was used as lodging by the pilgrims and pujaris, it was also used to cook food for distribution. D.W.3 also contended that, the name of the plaintiffs got recorded as the owners as they were the pujaris of the temple. 17. The plaintiffs in order to substantiate their claims furthers placed on record documentary evidences comprising of permissions granted by the municipality, property tax assessment papers, tax receipts and extract of the Book of Endowments of Ram Mandir. After perusing evidence on record, we observe that, the respondentsplaintiffs in order to prove their title has relied upon several permissions of the municipality and tax receipts to prove his title. But while, the aforesaid documents might imply possession but they cannot be relied to confer title upon the holder. Further, the respondentsplaintiffs have strongly relied upon the book of endowments as maintained by the EndowmentDepartment which shows the boundaries of the temple. In any case, this document alone is not sufficient to claim the title over the suit premises as it was only intended to demarcate the temple premises. 18. On the contrary, the appellantdefendant no.4 has put forth the earlier order dated 26.12.1976 passed by the Deputy Commissioner in O.A. No. 2 in 1973, involving the same suit property. It was categorically held therein, that the suit property is related to the temple, and the plaintiff no.1 is staying therein to perform his duty. The earlier order also stated that, the suit property was originally granted as Inam to the forefathers of the plaintiffs for the conducting pooja and to feed the brahmins. In the aforesaid order, it also noted that, the plaintiff had removed the idols from the suit temple to meet his personal needs. Aggrieved, by the aforementioned order in O.A. No. 2 in 1973, plaintiff no.1 thereafter had filed O.S. No.134/77, before the Chief Judge, City Civil Court which came to be dismissed on 19.08.1981 for default, hence has attained finality. Therefore, the present suit involving the same property seeking similar relief as O.S. No.134/77 is barred by time. However, the defence has also clearly averred that since the plaintiffs and their forefathers were working as pujaris inthe Ram Temple, the endowment department in order to demarcate the Ram Mandir itself, mentioned the suit property as the adjoining premises. Keeping in view the aforesaid facts and circumstances, the plaintiffs have failed to produce any evidence to counter the case put forth by the appellantdefendant no.4. 19. The provisions of Section 101 of the Evidence Act provide that the burden of proof of the facts rests on the party who substantially asserts it and not on the party who denies it. In fact, burden of proof means that a party has to prove an allegation before he is entitled to a judgment in his favour. Section 103 provides that burden of proof as to any particular fact lies on that person who wishes the court to believe in its existence, unless it is provided by any special law that the proof of that fact shall lie on any particular person. The provision of Section 103 amplifies the general rule of Section 101 that the burden of proof lies on the person who asserts the affirmative of the facts in issue. 20. In the present case, the respondentsplaintiffs failed to discharge their burden of proof by being unable to furnish necessarydocumentary and oral evidence to prove their claim. But, the High Court without appreciating the aforesaid evidences and claims made by the appellant (defendant no.4), decreed the suit in favour of the respondentsplaintiffs by solely relying on the entry made in the book of endowments department stating the boundaries of the temple. The aforesaid judgment of the High Court is untenable in law as it is based on erroneous appreciation of evidence. 21. In light of the aforesaid observations we set aside the judgment of the High Court decreeing the suit in favour of respondentsplaintiffs in the absence of any evidence to substantiate their claim. 22. Resultantly, we restore the order passed by the Subordinate Judge, Jagtial in O.S 69 of 1987. The appeal is allowed, however, without any order as to costs. Pending applications, if any, shall also stand disposed of.